In order for the visual system to develop properly a patient must be able to see clearly. Dr. Wilson recommends the first eye examination to be conducted around age 1, the second exam at 3 years of age and a third exam at age 5, just before the child starts school. Dr. Wilson also recommends an annual exam for all patients over 5 years of age. Dr. Wilson performs a comprehensive ocular health check on every patient. 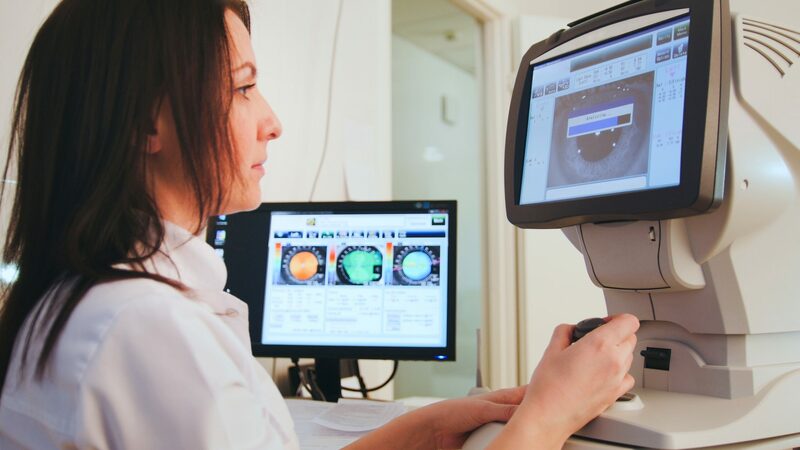 Not only can eye exams reveal problems like glaucoma, macular degeneration and cataracts, often they identify undiagnosed systemic health problems like diabetes, hypertension and thyroid dysfunction. These systemic diseases may be previously unsuspected, yet discovered during the eye examination.